You will add many Cheats: Infinite Health , One Hit Kills , Change Gold , Reveal Fog of War and many more. Hello and welcome to Apocanow, we present this article about the Trainer of Pillars of Eternity II: Deadfire We hope it will serve you and allow you to improve your experience with this game. For Pillars of Eternity II: Deadfire we also have the Game Tricks available.You will find a collection of codes and unlockables that will allow you to overcome any obstacle on the tricks of Pillars of Eternity II: Deadfire . 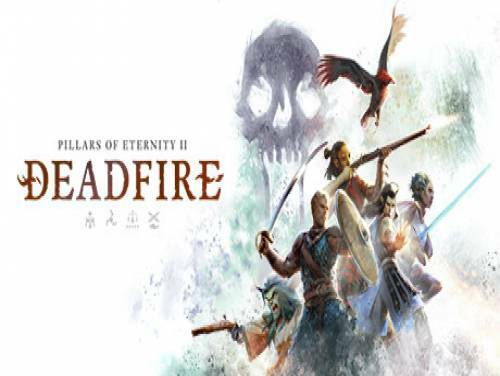 For Pillars of Eternity II: Deadfire we also have the solution of the game, you will find a collection of videos taken from YouTube that put together will allow you to get to the end of the game on the solution of Pillars of Eternity II: Deadfire . You chase a god risen from the sea to land in the sequel to the award-winning RPG Pillars of Eternity. Guide your ship along a perilous journey of discovery through the vast unexplored region of the archipelago of Deadfire. The program you are about to download was not created by Apocanow. However, we have permission to publish and publicize by the authors of the Trainer Pillars of Eternity II: Deadfire Trainer - v4.1.2.0047. The contents of the file are virus free, even if sometimes they can trigger the AV as false positive. to use it while being in a city. Press hotkey and the fog of war is revealed. Press hotkey to refill your ship supplies such as ammo, medicine, etc. Press hotkey to unlock all locked objects on current map such as chests. While active open your ingame menu and click on achievements. While active your party is invisible to enemies. While active the time will not advance. changes. Please note that reputation has an impact on many things in the game. If you don't want risk anything use the editor to change a specific reputation only. Open status screen where the character's EXP is shown. Press hotkey or use editor. Close and open the screen again to see changes. Whilea active random encounters are disabled.